At 34 years, 34 days Roger Federer is the oldest Grand Slam singles semi-finalist since Jonas Bjorkman (34 year, 108 days) at Wimbledon in 2006. 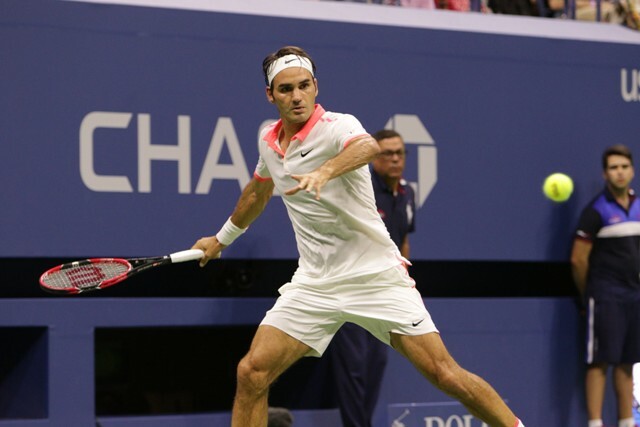 The Swiss No.1 is looking for his 27th Grand Slam final berth and his 7th US Open final berth as well and is trying to become the oldest Grand Slam finalist since Agassi (35 years, 135 days) at the US Open in 2005. Stan Wawrinka has a 3-16 record against his compatriot, 1-4 record at the Grand Slams, and they never faced each other at the US Open.